It’s been almost 6 months since the unexpected passing of my father. Looking back, it was probably one of the toughest moments in my life. Firstly, I was in shock. Secondly, I had no idea (Why would I?) about what goes into planning a funeral. Needing to make arrangements fast, I decided to meet with a funeral director, in order to find out the cost of cremation and ceremony. We went through all the options that I wanted, and decided on something that was relatively simple. The cost came to $7400. At the time, I wasn’t sure. But because money was tight for me, I decided to speak with another funeral home. So we went through all the options again (I didn’t mention speaking with another place) and I chose the exact same details. But this time, I was quoted $4950. I decided to write this guide to help anyone who is in the same position as me. I couldn’t believe the price difference. I had almost gone with the original quote (Who wants to shop around?). So below I’m going to give you an idea of what things cost. Take these costs as a rough guide when doing your own research. To give you an idea of average cremation costs, here is a table (provided by parting.com) which shows the range of prices in different cities). Keep in mind this is for a direct cremation, but as you can see, it pays to get a few quotes. Often described as low cost cremation, it does not include traditional funeral proceedings, which makes it the most economical choice. the body is normally cremated in a simple container instead of an exceptionally costly casket. there is no viewing, wake, or visitation, therefore the need and cost of embalming and other body preparation is eliminated. unless you opt to bury the cremated remains, you avoid the cost of a plot, digging of the grave, and a headstone or marker. 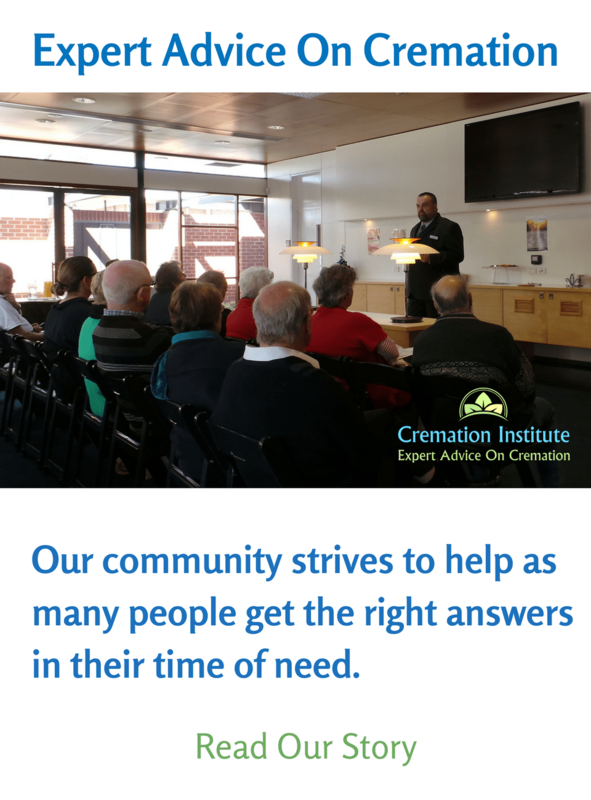 The crematory staff will manage most aspects of the whole cremation process. This includes completing the death certificate and picking up and transporting the body to the crematorium. Even if there is a fee for some of these services, it’s usually nominal and typically a fraction of funeral homes prices. Funeral homes normally charge a basic fee for their services, which can average from $1,500 – $3,500, but can be as much as $7,000. This fee generally includes some services such as taking care of any necessary permits, acquiring copies of the death certificate, and assisting with other necessary paperwork. Some other overhead costs related to the funeral home that may or may not be included are the use of their facilities and staff, transporting the body, and others. It’s seldom carried out by the funeral home, but is contracted to a third-party crematory. 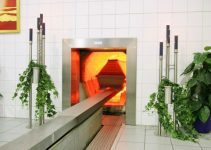 Crematories typically charge $250 – $400. When a funeral home offers you a package, make sure the price they disclose actually includes the actual cremating process. Amazingly, the cost you pay for the actual process is not included in the package fee in some cases. 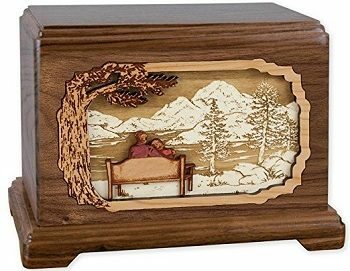 It doesn’t make a lot of sense to buy a traditional casket for a cremation. Nevertheless, some people wish to have services before being cremated, which would necessitate a casket, therefore there are alternative options. 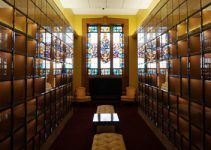 Caskets made specifically for cremating cost as low as $500 – $600, much less than a traditional one. They are normally available for purchase at the funeral home or crematory. An additional option, is to rent a casket for the viewing, wake, or funeral service. The body is encompassed in a box, typically called an “alternative casket”, which is inserted into the casket. After the service, this box, holding the body is removed from the casket and then cremated. The cost for renting is about $400 – $600. The service is usually conducted in the presence of the ashes contained an urn. A clergy can hold the cremation ceremony or it may simply be a gathering of family and friends, celebrating the life of the deceased. Therefore, the price can be as little or as much as you desire. Many funeral homes and crematories furnish a basic container. Otherwise, urns are the most popular choice and can be priced anywhere from $50 – $1,000. Companion Urns: These double urns are used for a couple who has passed away, a mother and daughter, or maybe a large person. Prices are usually between $150 & $500. Biodegradable Urns: If you’re conscious about the environment, an eco urn might be suitable for you. They can be water urns ideal for scattering, or even a biodegradable tree urn. Wooden Urns: A natural look that will fit in perfectly at home, the cost is usually between $50-$150. Have a look at our wooden urns article for more information. Baby Urns: These urns tend to be less than your typical urn. Our infant urns guide will give you an idea of what’s available and how much they cost. The price of course depends on the type and abundance of flowers. For a decent sized funeral flower arrangement with carnations or flowers that are in season, expect to spend around $50 – $150, for roses or exotic flowers, expect $200 – $300. A casket spray will cost from $50 – $450. For the full package including all the above, plan on anywhere from $200 – $1,000. If you’re having a memorial service after, a nice size bouquet next to the urn is a nice touch for about $50 – $100. This charge is often unexpected because people assume it is included. It can vary depending on local rates and on the size and condition of the body. A body that has significant injuries or has been autopsied often cost more. The average charge is typically $200 – $800. This frequently does not cover other duties such as cleansing, dressing, and preparing the body cosmetically, which can run around $100 – $500. is the same as with a tradition burial where family and friends are able to visit and usually view the body before the cremation takes place. This may or may not be included in the service fee. These can include ordering the flowers, organists, soloists, pallbearers, and obituary notices. It’s best to determine these in advance if possible to ensure you are not overcharged. Another bit of information to remember is that funeral directors are required to inform you of any refunds or rebates that are available from the vendors. As we have established, the traditional burial of a body is the most expensive means of disposition. The following prices will give you an idea of burial vs cremation. $1,500 – Fee for the funeral director, which most often includes use of the facility, staff, death certificates, and other documents. $1,500 – Preparation of the body for viewing. If an open casket, a stylist is necessary to apply make-up and hair techniques as well. These services are not needed for cremation. 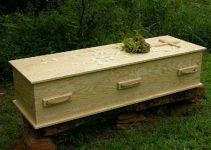 $2,400 – $10,000 – For a traditional casket. $2,500 – The gravesite, which includes the plot, digging, and grave liner. None of these pertain to cremation unless you bury the ashes. $1,500 – Headstone or grave marker. That’s a total of at least $9,400 for a traditional burial and as discussed above, there are multiple other charges that may be added as well. Cremating a pet is now the most common choice for animals after they die. It is the most cost effective and environmentally friendly means of doing so. Domestic Pets – $50 -$350 depending on the type of option chosen and the weight of your pet. The lowest cost would be for a direct communal cremation with no return of the ashes. Horses – $250 – $1,500 depending on the weight, the area in which you live, and whether pick-up is required. Pick-up – For the crematorium to pick up your pet, it’s usually included if it’s within the facility’s regular business hours on a weekday and within a certain driving distance. Outside business hours or on the weekend, the charge is typically around $30 – $45 for domestic pets. Outside a certain driving distance, the charge is also around $30 – $45. Horse pick-up can cost as much as $1,000, depending on the horse’s size and the distance. Witnessed cremation – If you wish to view the process, there is typically an extra charge of approximately $20 – $30. Urn – If you desire that the ashes are placed in an urn or other container, they generally cost from $50 – $1,000, and even more. Some facilities include a basic urn or box for small pets. Pet Cemetery – The plot and digging the grave can run approximately $400 – $600. Most cemeteries require you to bury your pet in a casket, which runs about $50 – $500 and sometimes much higher. You will most likely want a tombstone or marker as well. They are from very simple up to exceedingly elaborate and range from $150 – $1,000 and more. For those needing to cremate a pet, feel free to check out our guides on cremating a cat and cremating a dog. 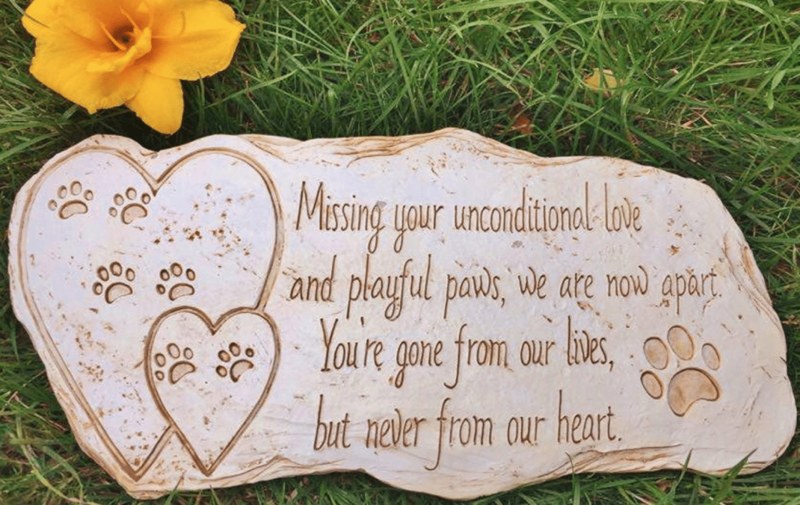 Many of us want to create some kind of memorial for our departed furry friend. In terms of price, you are looking somewhere between $15 and $200. If you’re looking for ideas, take a look at our memorials for a dog guide. Alternatively you read our more specific dog urns and dog headstones articles. For your feline friend, check out the cat urns guide. While the Federal Trade Commission does require that all funeral providers follow specific rules, the actual prices they charge for each service is not regulated. However, they are required to provide an itemized and accurate price list when requested by a consumer. Funeral providers are not required to disclose their prices on their websites, which can make it more difficult to make comparisons. Only around 25% of funeral providers display their prices online. Below are a few tips and some advice to help you when making these difficult decisions. Purchasing the casket is almost always the largest expense. A direct cremation is normally the most economical plan by far. Adding extras can substantially add to the price. Don’t forget that even though they are sympathetic in most cases, funeral homes are businesses and are there to make money. When comparing different facilities, always ask for an itemized list of their costs for each product and service. Check the final bill to ensure there are no unauthorized expenses. If using a funeral director that does not have cremation facilities, determine in advance if the cost for a third-party crematory will be extra. Don’t allow anyone to talk you into adding extras that you don’t understand or are unsure about. Consult online directory sites to search for funeral homes in your area. Ask for help and recommendations from people you know personally. Usually friends are best since family members are grieving as well. I wish I’d seen this article last year when organising a cremation for my late mother, God rest her soul. I’m not sure if it was a direct cremation, but I think we ended up paying $1100 all up. This was in Tampa, Florida. We were very happy with the professional staff. Thank you for the taking the time to give this information. I am sitting here with my mother who wishes to be cremated. This certainly helps with our conversation. I really appreciate your information that direct cremation is usually the best for people on a budget because a casket is typically the largest expense. This makes me wonder if I could rent a casket for a viewing before a cremation. In my mind, this would be the best of both worlds, so I will start looking into funeral homes and see if this could be an option before putting it in my will. Thank you this has helped me make the decision for my partner. This guide was a fantastic idea. It is such a taboo topic And not many people want to talk about it. I would think that no one really wants to shop around for such services when the time is upon us and we are at the stressful point of grieving. I found it to be very well written and packed with crucial information. Thank you so much! Thank you kindly for this blog. It was really informative. If you have never gone through this, then you really have no idea what you are getting yourself into. That’s my story. Now when I go to make the arrangements, I will be armed with good information. I’m planning for myself being I have no spouse or children. I definitely needed something cheap and no viewing or memorial necessary. Thank you for putting this information out there.